Allied Editions is a unique artist editions collective made up of seven of London’s leading not-for-profit arts organisations: Camden Arts Centre, Chisenhale Gallery, Institute of Contemporary Arts (ICA), South London Gallery, Studio Voltaire, Serpentine Galleries and Whitechapel Gallery. Supported by Frieze Art Fair, the collective hosts a shared stand at Frieze London and Frieze New York showcasing specially commissioned limited editions for sale. Leading contemporary artists donate all editions, with the proceeds directly supporting the organisations’ exhibition and education programmes. The initiative has raised over £1,000,000 to date. For Frieze New York, 2-5 May 2019, four London organisations (Camden Arts Centre, Serpentine Galleries, Studio Voltaire and Whitechapel Gallery) will be partnering with three New York organisations (SculptureCenter, Skowhegan and Printer Matter, Inc) for the second year running. Visitors to Allied Editions' stand (B02) at Frieze New York can purchase exclusive artist editions by prominent international artists. New editions will launch exclusively at the fair, with editions available from as little as $92. 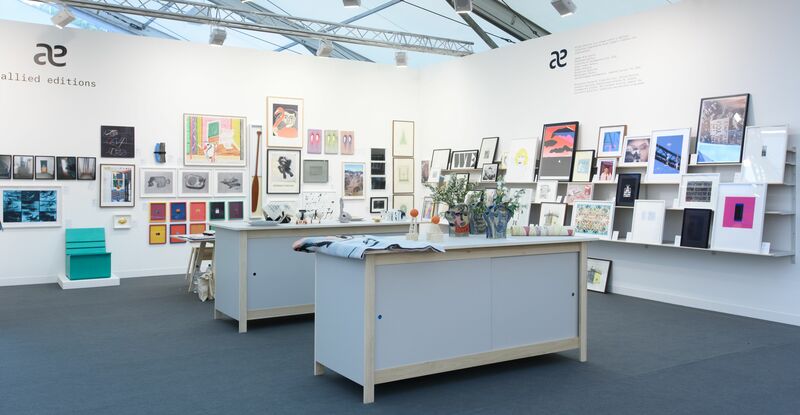 Frieze New York ticket holders receive a 5% discount on selected prints from Allied Editions.